On March 25th, Sony will hold the first PlayStation State of Play. The cite it as a “new video program” and call Monday’s show the “first episode,” so this definitely isn’t a one-off event. They’ve talked about new game trailers and footage, as well as all new game announcements. Sony’s announcement seems to indicate that the State of Play show (at least this first episode) will focus on software, not hardware, so don’t expect announcements for the PS5 just yet. It was only a matter of time. A few years ago, Nintendo stepped away from the traditional press conference cycle and opted instead to do Nintendo Directs, preproduced scheduled live streams that announce a variety of games and updates on Nintendo’s time. No longer are they tethered to E3 or other big events where the news cycle is exceptionally crowded. Every company is vying for attention, and in an era where they can just as easily toss out a dedicated live stream at any time, connecting with their audiences directly (hence the name Nintendo Direct), there isn’t really a need for big expensive press conferences that just get judged and graded next to others. Now, Nintendo can just queue up a few big announcements, push play on a half-hour stream, and the fans who are waiting for the information will lap it up no matter when it airs. News outlets will cover it, and it won’t be pushed down to page two in a matter of hours. Anytime there’s a Nintendo Direct, that day is all about Nintendo. You should see the PSLS staff chat on those days. We’ve got a lot of excited Nintendo fans on staff who all talk about the announcements. 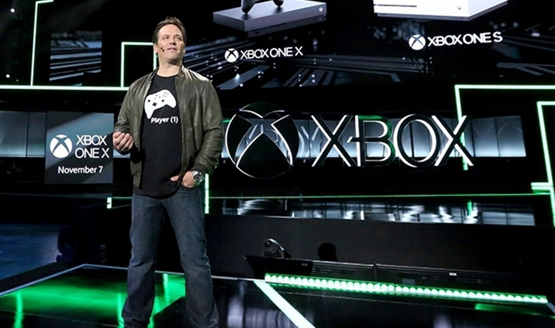 Microsoft followed with their Inside Xbox live streams. These are actually live shows that are more like a traditional press conference than what Nintendo does. Again though, this allows Microsoft to control the timing of their message, done from a studio rather than on a giant stage. They get to bring the developer’s voices right to their waiting audience, and the announcements aren’t lost in the haze. Sony is finally taking a page out of the competition’s book to do broadcasts of their own. In some ways, PSX was a way for Sony to do this, holding an event that focused entirely on PlayStation, but it was still once a year and had a ton of announcements surrounding it. After not holding a PSX event last year and deciding to cancel on this year’s E3, it was obvious that there would be some sort of direct live stream show to at least hold PlayStation players’ interests while we wait for the next generation to finally roll around. The one downside to this tactic is that it’s limited to people who are more focused on the day-to-day goings on of the industry. E3 is a good time to blast out information because all eyes are on video games around then, even eyes that wouldn’t normally watch the video game news cycle. But again, it’s such a crowded period for new game news, much of it is bound to get lost in the noise anyway. Exciting announcements will get traction no matter what, and the direct approach gives smaller announcements a better chance in the spotlight. Sony has a bunch of exciting indies and smaller titles up its sleeve. 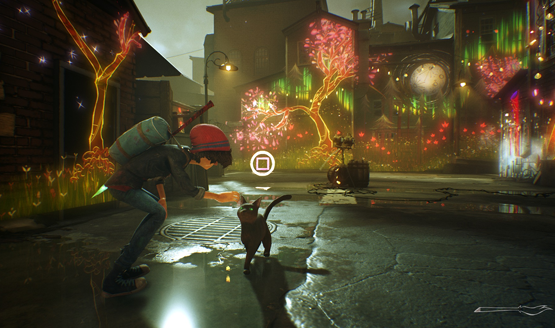 Games like Concrete Genie deserve a better chance to shine, and we’ve seen the company move away from showcasing smaller titles at their past few press conferences (or even if they do, the showcase’s attention always focused on the much larger games). With more frequent State of Play broadcasts, Sony can really draw attention to games that wouldn’t otherwise get a lot of it. Yes, we’re all excited for Death Stranding and The Last of Us Part II, but let’s be honest, we’re excited for those whether we see more about them or not. So why not dedicate some screen time to the titles that people may not otherwise know about? Sony’s got a huge platform and people will pay attention to these broadcasts. However Sony decides to execute the PlayStation State of Play broadcast—whether it’s snappier like Nintendo’s quick announcements or more like Inside Xbox’s press conference-like format—I see this as the future going forward. We’re going to see less reliance on big gaming events to showcase and share news. While those may still be used as a platform to springboard some announcements, it’s less likely that things will be held until that time for a big reveal. Companies want to connect directly with their audiences, and big stage shows and press conferences are a relic from a time when these same companies had to rely on the press and news outlets to do so. As we’ve moved into a far more connected age, it makes a lot of sense—both from a financial perspective and a purely mindshare one. Come Monday, March 25th, that day is going to be entirely about Sony and whatever announcements it has. It doesn’t have to share the event with anyone else. It can control its own message as it is delivered. 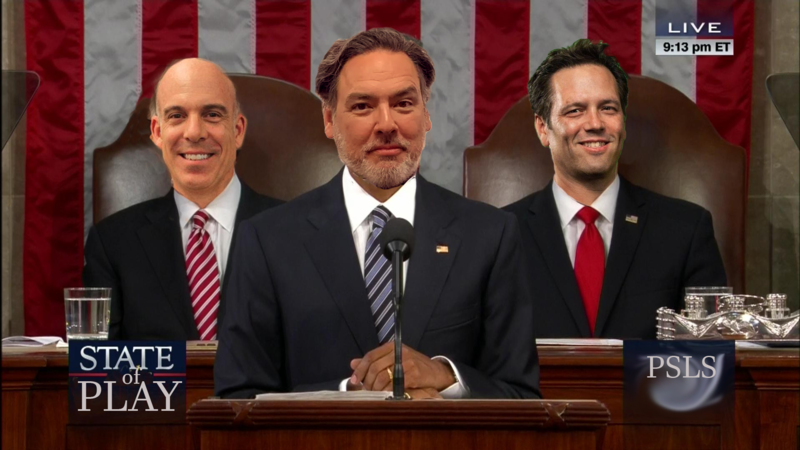 It may have take some time to get established, but now that the last of the big three has finally moved into direct live stream broadcasts to connect with its audience, we can finally say that this is the new state of play.